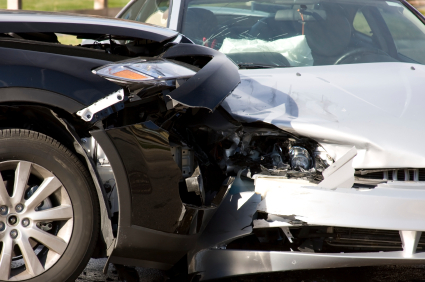 Auto accidents and Truck/Auto claims are the leading personal injury claims in Chandler. Consequently, a considerable number of these claims become lawsuits due to injury and damage. Are you the victim of an accident in Chandler? If so, Contact our Chandler Auto Accidents Lawyers for a free consultation. (480) 833-8000. There are different types of vehicles that account for personal injury claims when an accident occurs. Each auto accidents and injury claim will be specific and distinct: auto accidents happen in many different ways due to many different circumstances. Learn more about how the unique issues of liability and negligence apply to your specific case. Most causes of suffering and lost occurs during car accidents, involving motorists, pedestrians, or passengers. Many things like mechanical failure, defective vehicles, or unsafe road can cause car accidents. Furthermore, car accidents are mostly caused by the driver being irresponsibly on their phone, drowsiness, drunk driving, or not watching the road. Establishing fault can be difficult at times and more than one person can be responsible for the accident. By Arizona’s comparative fault law, you still may be entitled to some compensation for damages if you are partially at fault. A tremendous impact when colliding with a smaller vehicle can be created by the weight and force of a semi, 18 wheeler, or tractor trailer moving at a high speed. Significant injury and vehicle damage is unavoidable. In some accidents, fatalities are common. It’s also very common for trucking company representative to arrive at the scene of the accident to interview witnesses, record statements, and gather evidence. Trucking companies are alerted by GPS tracking systems or short wave radios to act quickly to protect their interests. If you or someone you know has been injured in a trucking accident, please contact My AZ Personal Injury Lawyers to speak to a professional. Liability issues may also affect the case depending on the cause of the accident. For example, was Drunk or impaired driving involved? Were traffic laws violated? Was there a cell phone distraction or texting-while driving? Was there distracted driving? Did an operator of a vehicle fall asleep while driving? Was the road quality / conditions poor? Because there are so many factors that may determine a claim and compensation, it is best to consult with an attorney experienced in defending such cases and clients in Chandler. Find out if you have a case and make yourself whole again. Auto accidents happen, therefore if you are involved in a car accident in Chandler, you deserve the best Chandler Personal Injury Attorneys on your side. Our experienced accident lawyers will get you the results you seek. Lastly, schedule an appointment today at one of our Phoenix area or Tucson law offices. We also offer free, no hassle, no obligations consultations. As well as, affordable payment plans.